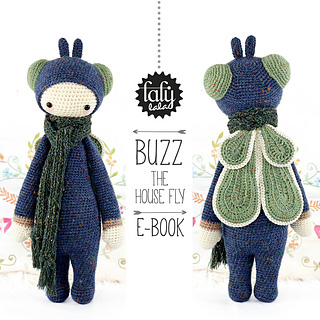 Actually he is dressed in his house fly costume all the time. 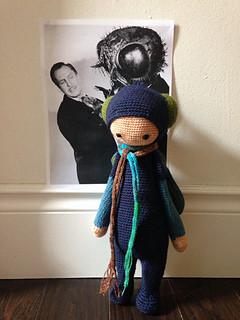 BUZZ loves flying loopings, sitting on the ceiling and buzzing songs about flying. 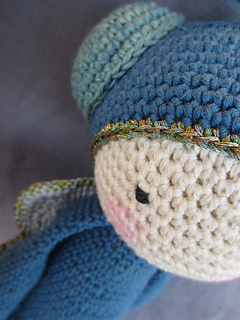 BUZZ is a passionate sugar cube collector too. 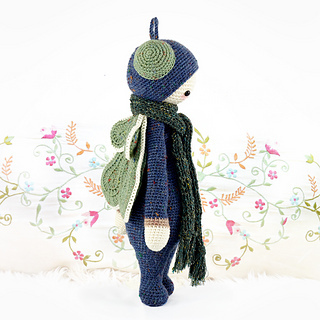 He is approximately 10,5 inches tall. 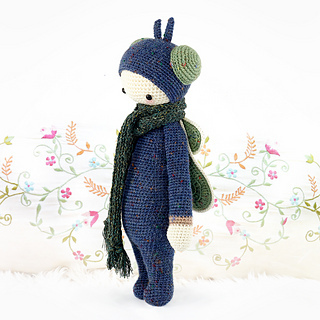 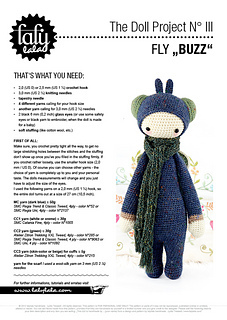 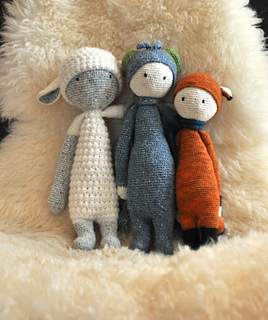 BUZZ is made out of cosy 4 ply tweed, cotton wool and love. 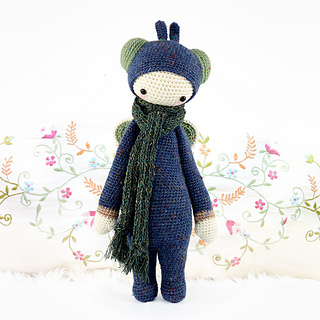 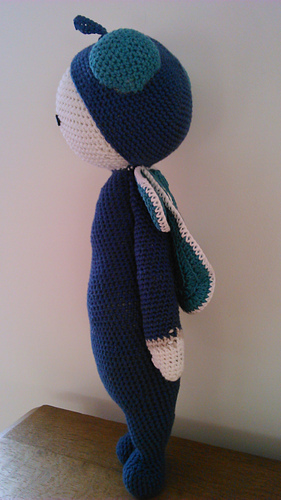 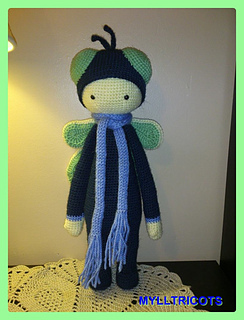 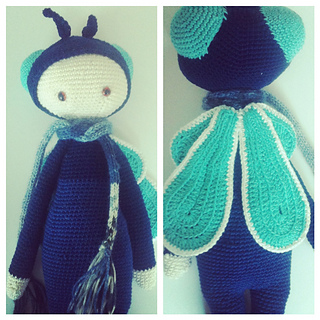 For your little fly you can use every yarn you prefer - he’s getting taller or smaller but he’s always really cute! 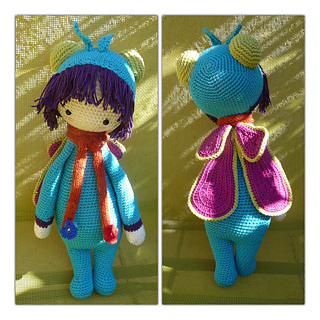 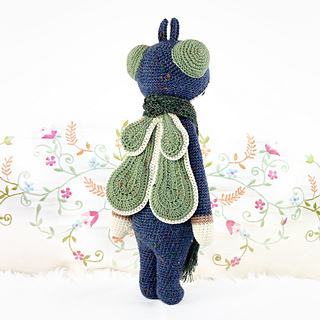 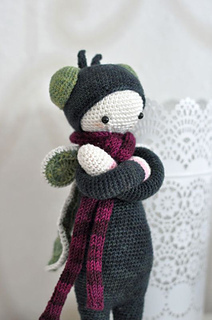 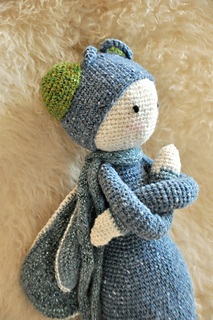 Have a look to my other DOLL MAKING PROJECT patterns to - BUZZ has a bunch of cute friends wearing other fancy costumes!